BukidnonNews.Net » Pulangi V power project to be pursued as a govt. project? April 23, 2019 2:37 am You are here:Home Business Pulangi V power project to be pursued as a govt. project? Pulangi V power project to be pursued as a govt. project? MALAYBALAY CITY (Bukidnon News/26 March) – If pushed through, the proposed 300-megawatt Pulangi V hydroelectric power plant in Bukidnon should be run as a government project not as a private undertaking to prevent spikes in power rates, Gov. Jose Ma. R. Zubiri Jr. told this reporter last week. Zubiri said that while talks on the matter were still informal he has conferred with Mindanao Development Authority (MinDA) Sec. Lualhati Antonino who he said “supported” his idea. He, however, admitted [his] proposal for a new government-run power project would face difficulty in light of the Electric Power Industry Reform Act (Epira), which seeks the privatization of the power generation industry. The Agus and Pulangi hydropower complexes have so far remained in government hands. Zubiri said he wanted his proposal to be included in the proposed amendments to the Epira, adding there are talks to place the Pulangi V project under MinDA. Bukidnon News sought the reaction of Romeo Montenegro, MinDA director for investment promotion, international relations and public affairs but he had not responded as of Tuesday. But the project failed to get social acceptability requirements even if the proponents said most of the 22 barangays affected in five towns endorsed it. Mounting opposition stalled the process with Zubiri, among others, saying Fibeco should stick to its role as a distribution firm. Fibeco general manager Rene Cortizano told the Bukidnon provincial board in 2011 they were only taking charge of the social acceptability component before talking to takers of the proposed project. “We are not going to be part of the construction of the project,” he added. He told the board that Greenergy, their conduit for the social acceptability campaign, is not an investor but a consultant. Zubiri, who attended last week’s committee hearing of the provincial board on the power situation and the Pulangi V project, said the proposal will never prosper under his term. “I can only change my mind if this project will be run by the government and if the people will approve of this,” he added. He said there was opposition to the project even if Cerael Donggay, head of Greenergy, stressed in the hearing that they have already obtained the nod of most affected areas. Donggay told the board, with Zubiri listening, that even if Pulangi V will push through Mindanao will still experience power shortage over time. This, he said, explains why many investors are setting their eyes on power projects in Mindanao including Pulangi V.
While Pulangi V is still in pre-development stage, Donggay said about 12 investors are looking at building coal-fired power plants. He said it would be practical to opt for hydropower to protect the environment and avoid volatile fuel rates. He said the project was already endorsed by the municipal councils of the affected towns except Kibawe. The municipal chieftains representing the tribes in the five towns had also endorsed it, he added. Zubiri, however, turned down the idea of a private corporation running Pulangi V.
“As long as I’m governor, I will not allow it,” he said, clarifying that no project will be allowed without the consent of the people. He invited Donggay and other officials to join him in barangay consultations to verify the supposed opposition. He said he can convince the public to support the project if it will be proposed by government. He added that Bukidnon’s [current] power demand of 85-90 megawatts does not require such investment. 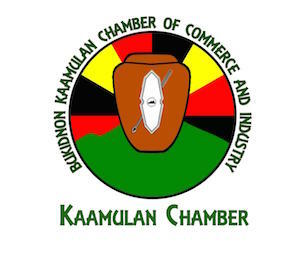 Roderico Bioco, president of the Bukidnon Kaamulan Chamber of Commerce and Industry, told MindaNews the estimate does not include suppressed power demand or power demand foregone because it is not available. 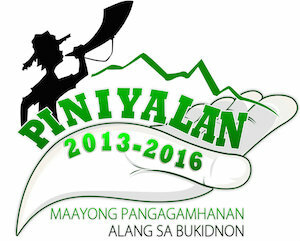 He said Pulangi V plays a critical role in supporting big investments in Bukidnon. He said they will still support the proposed development of Pulangi V provided it complies with requirements. © 2019 BukidnonNews.Net. All rights reserved. XHTML / CSS Valid.